Our Training Methods ”Positive” and “Touch-Free” describe our training methods. Training should be easy, friendly and fun - toys, treats, lures and rewards will accomplish this, as well as motivate your dog. Our techniques create smarter dogs through mental stimulation and create a bond of mutual trust and respect. All of our training classes focus on real life situations teaching your dog to be stable and reliable. Our classes are kept small to ensure personal service. An open-discussion session will follow each class to address any questions or problems you may have, and you are welcome to call whenever you need us. Our classes promise to be fun for both you and your dog, so come and join us! 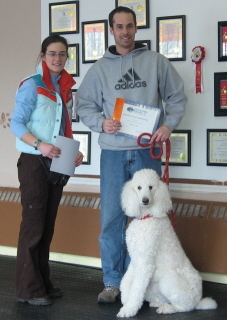 What makes sets us apart from other dog trainers? Longer Courses to ensure you & your dog get the time you need. We put in the time & effort with our clients. Training focuses on real life applications teaching your dog to be sociable, obedient and reliable in every situation they may encounter. We help you train your dog to ensure you can take your dog everywhere you go. Our classes are kept small to ensure personal service. Your dog will have a chance to become socialized. During training dogs get the opportunity to interact with other dogs on a regular basis. 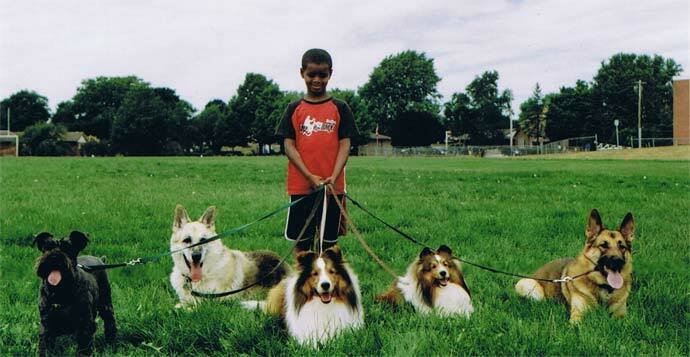 They meet dogs of all sizes and breeds. They also meet a variety of people. It is natural dog behavior to jump up at people when greeting them. The sit command gives your dog an acceptable greeting behavior. The stay command gives you better control over your pet and it could save your dogs life in certain situations. The recall gives you the same benefits as the stay command. Control and safety. Walking on a loose leash makes for enjoyable walks. The best time to teach this is when your dog is young. However, it is never too late to remedy this problem. Therapeutic Paws of Canada , , Therapeutic Paws of Canada is a non-profit organization of volunteers providing animal resources for human needs (physical, mental, educational, motivational, socialization) through regular visits to hospitals, residences, schools, etc. Come visit us at the school to view our school and to learn more about us! (Please phone to make an appointment). You are welcome to sit in on a class. Information about Nutrition and Grooming. Class time includes a question and discussion period. Written instructions on your homework each week and information about how dogs learn, why they do what they do and how do dogs think. Phone support. You can call us at anytime during the week. Lifetime support for you and your dog. Socialization and communication are the building blocks necessary for your dog to get along with its own kind. We split the room into two groups. - One is for puppies, small and timid dogs. - The other is for large, confident, & very social dogs. In each class, dogs will learn how to socialize and interact with other dogs, enjoy playing off leash with dogs and release energy. You will come out of class with a tired and happy dog. Your dog will have made a few new friends! Dogs that like other dogs & people are less likely to bite and become aggressive. Socialization & Prevention is the key! Come out & socialize your dog today! Our classes are supervised by a professional dog trainer & behaviourist. Come & join the fun! Requirements To Attend: Pre-registration is required to attend any program. Play groups are limited in size so book early to avoid disappointment. Pre-registration can be done in person, over the phone (519)-721-7387, or email us (info@darcysdogtraining.com) or online registration for first time attendees. Please arrive on time. First Time Clients: Proof of vaccinations must be presented to attend. 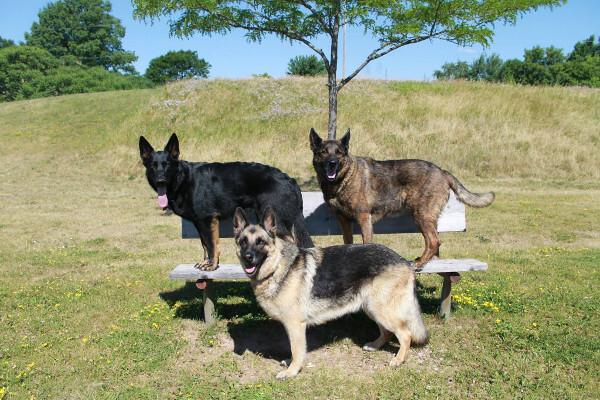 New dogs will be integrated based on previous experience with group play and the group the dog is entering. Some dogs are entered into group immediately while others may have to attend a number of sessions before integrated. No aggressive dogs permitted. If you are having, issues with your dog please contact us and we will be glad to help you! Our goals for this class are the same as the above puppy class. However, our approach is different. Instead of molding and shaping your dog's personality, we will influence the personality your dog already has. Working on individual issues your dog may have. Includes: Heeling, different speed changes and a Figure 8. The recall and finish. Distance stays, One-minute sit stay, Three minute down stay. , , To walk nicely on a loose leash around the parks of Cambridge. Teaching your dog how to maintain attention on their owner in high activity settings. Teaching your dog to ignore other dogs and people. What to do when you come across a dog on your walk. Includes: Off leash heeling, Off leash figure 8, Stand for examination, Drop on recall, Three minute out of sight sit stay, Five minute out of sight down stay. Come and join the fun! You and your dog will enjoy learning how to jump over jumps, run through tunnels, go over ramps, and learn new tricks together while fine-tuning their obedience commands. Your dog will love entertaining your family and friends with their new tricks. This is a great activity to do with the whole family! This course really helps your dog raise its confidence. You will come home from this course and your dog will be tired. In a fun, energizing, upbeat class your dog will develop, strong agility skills while playing games and having fun! This course will help build your dogs confidence. 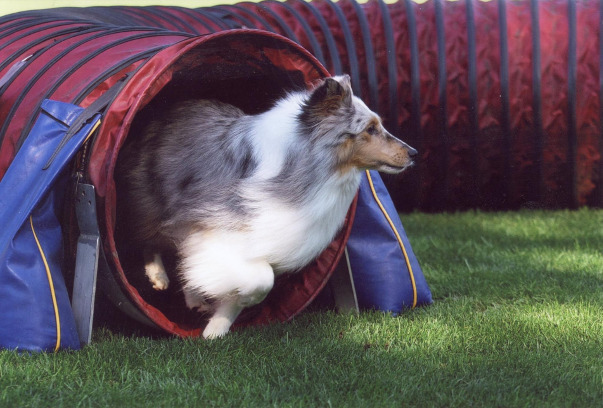 There is no better trained dog than a freestyle dog! Using a combination of training cues and tricks, your dog will learn how to put on a performance for your friends and family. This course combines obedience and tricks. Need some extra attention?, Private training $35.00 at Training Centre and $40.00 at your home. , Additional fee applies outside of Cambridge, depending on distance. Are you having problems with your dog; digging, chewing, jumping up, pulling on leash? Does your dog suffer with anxiety when you leave home? We can help! $75.00 for an hour and $90.00 to an hour and a half. Includes follow up by phone/email. You may wonder what is the purpose of a behaviour consultation? Many problems that exist between dog and owner can be solved by a consultation. I will come into your home for one hour and show you how to correct the undesirable behaviour. I will leave you with written instructions that if followed, are highly successful. With the problem solved you will have a better behaved dog. Less stress for everyone, and as a result a calmer home. Dogs and Kids , Puppies and kids are a match made in heaven. However, they should never be left alone together. Children need to be taught to behave around a puppy and the pup must learn how to act around children. Socialization, Why should you socialize your dog? Dogs are social animals and love to be with people and other dogs. A dog that is used to different situations, has manners, obedience and will be a dog that people love to be with. By sixteen weeks of age, a dog's brain stops growing so it is very important to introduce your dog to the world as soon as possible. Bite Inhibition, Teaching your dog bite inhibition is the most important thing of all. As a dog owner, this is your number one responsibility. All dogs are potential biters and all have to be trained to never bite people. Digging , Dogs need to dig. However, let's teach them where to dig. Make it possible to leave your dog alone in your yard without destroying it. Chewing, A dog who chews can cause a lot of trouble for its owner. Chew toys can be the answer to your problem if you use them properly. Barking, Dogs and barking go together. However, too much barking is not acceptable behavior. Learn how to teach your dog to bark on command and to be quiet on command. Jumping, Jumping up is a greeting behavior. It is the way dogs say hello. However, people do not enjoy this behavior. Teach your dog to do a more acceptable greeting behavior. 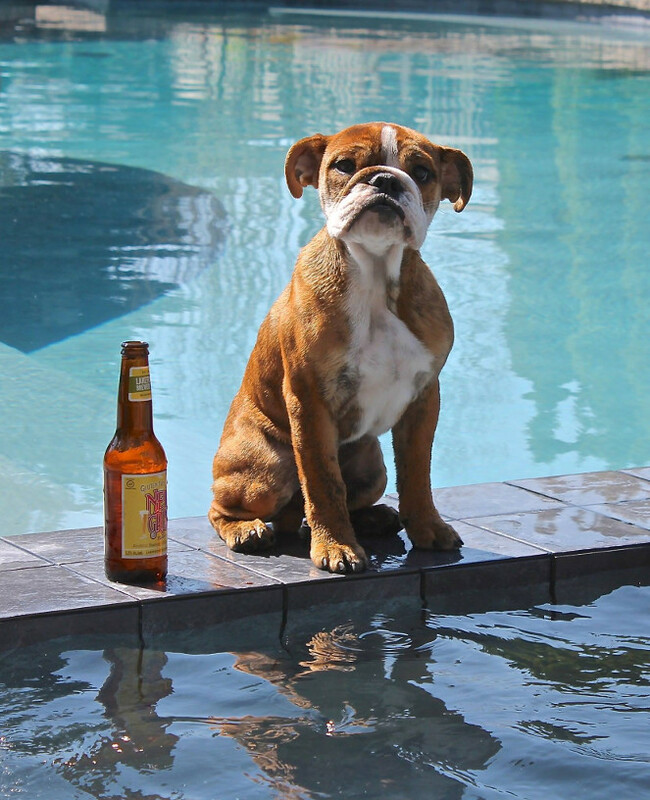 Housebreaking, This is a very common behavior problem. Teach your pet to tell you that it has to go to the washroom. Teach it to go in the same place every time. This will make clean up a lot easier. Separation Distress, Dogs are pack animals and are not meant to be separated from their pack. Teach your dog to enjoy spending time alone. Have someone come in during the day to break up the day for your dog. It is not fair to expect your pet to be alone all day. Having someone come in and walk them will release energy and stress from your dog.